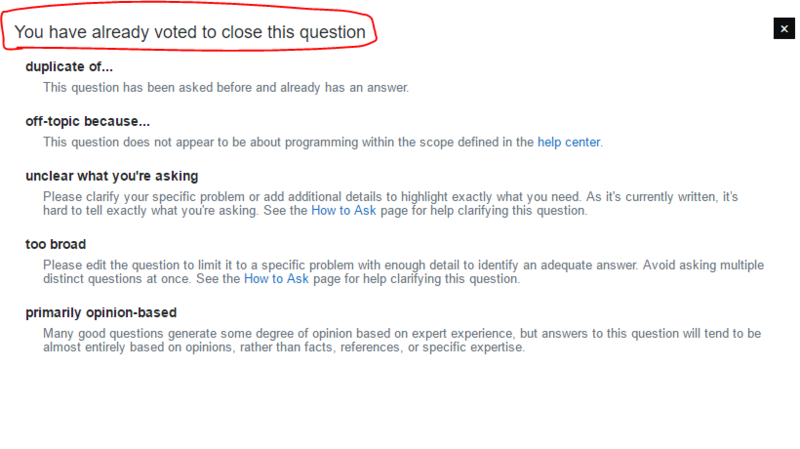 This question on Stack Overflow is an exact duplicate of this question, so I voted to close it as a duplicate. After my closing vote, there were a couple of other votes there as well. But after some time, I noticed that now this post doesn't show any close votes. And the comment with the text "Possible Duplicate Of..." is also gone. If I try to close this question again then it shows that I've already voted to close this question. I'm surprised to see this. Can someone please explain this mystery? The post was closed by the community, then reopened. You can see this in the revisions history of the post or post timeline. Not the answer you're looking for? Browse other questions tagged support duplicate-questions comments vote-to-close . 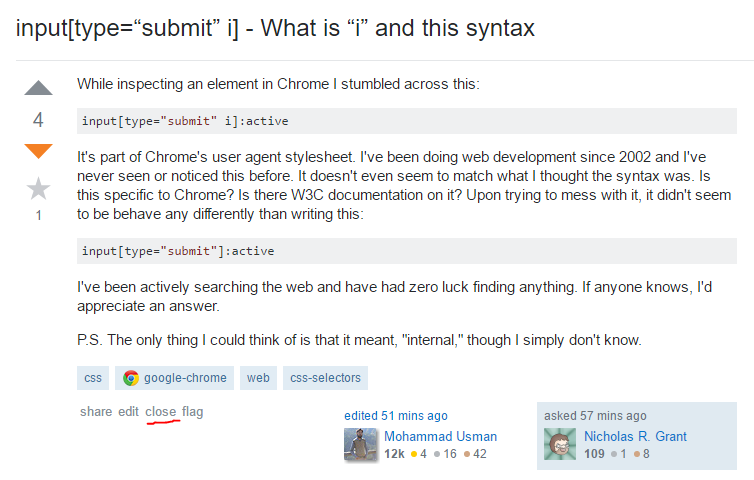 How can I not use my instant close privilege? Duplicate close vote seems to disappear if the close target is deleted? Why did my close vote vanish?